The film was originally offered to Sushant Singh Rajput. 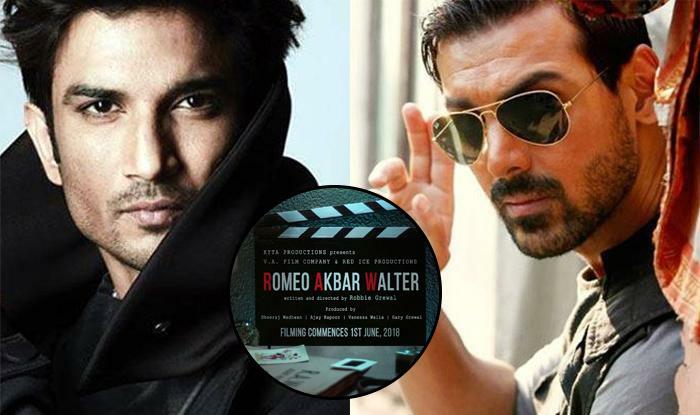 John Abraham is all set to star in an edge-of-seat espionage drama Romeo Walter Akbar. 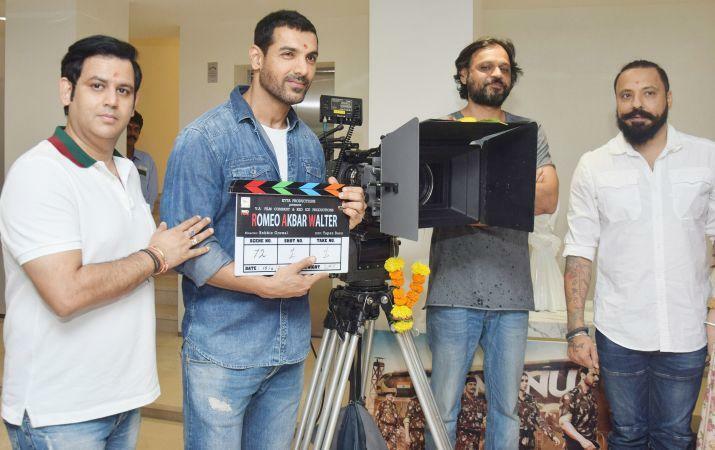 The film will be an action-packed movie that will trace the story of a man who is an agent. John shared the first look of the movie on his social media profiles. In the first look, John is seen wearing a vintage sweater while he watches us with his mystic eyes, he also holds a cigarette in his mouth that aptly amplify his charisma. Romeo Akbar Walter also features Jackie Shroff, Mouni Roy, Suchitra Krishnamoorthi and Sikandar Kher. The film is bankrolled by Viacom 18 Motion Pictures, KYTA Productions and VA Film Company and it is helmed by Robbie Grewal. The film went on floors in June 2018 and has been shot extensively in Gujarat, Nepal and Kashmir. Interestingly, the role was first offered to Sushant Singh Rajput and he had come on board as well but then he opted out of the film for some reasons, he said in an interview: "I wanted to be a part of the project because I love the story and I believe it's a story which must be told. However, due to unavoidable circumstances, I won't be a part of this journey. I wish the producers all the very best for the project." The film will be released on April 12, 2019.